Last May, my co-maid-of-honor Melissa and I were charged with throwing our best friend’s bridal shower. Last weekend, we were on decorating and games duty for the recent bride’s baby shower. And jaws dropped when we explained one of the games to the guests. But first, here we are, smiling big since we get together only a half-dozen times a year now, since Emily lives three hours away from me and Melissa. Emily’s in the middle hiding her adorable baby bump for no good reason whatsoever. 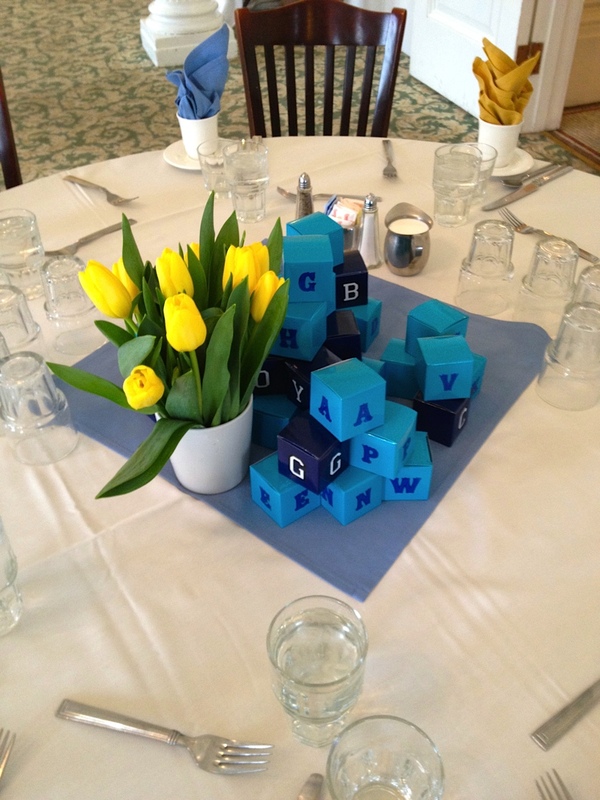 Onto our centerpieces: We wanted the decorations to be things Emily could use for her baby boy once he was born, rather than flowers that would get tossed a couple of days after the party. 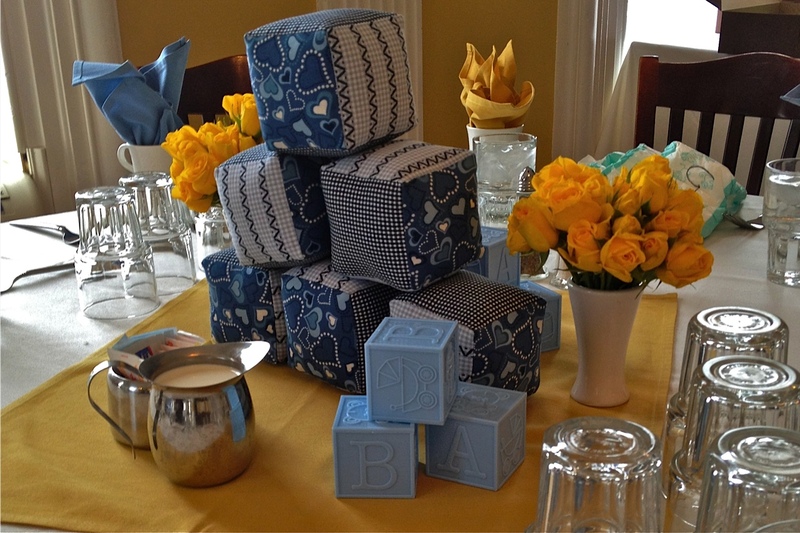 So we thought blocks would be fun to decorate with–we made these out of party favor boxes from Oriental Trading and letter and number stickers from Michael’s. The chunky ones way above came from an Etsy seller–they’re soft and they jingle, in case you were wondering. The smaller ones in that photo came from Oriental Trading. Luckily, Emily had the foresight to get cheery flowers to round out the centerpieces, which probably would have looked a little dull without the sunny pops of yellow. 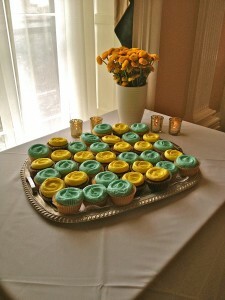 We can’t take credit for these pretty cupcakes, but they came out so lovely, I had to share. Now the baby shower games. 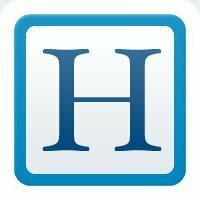 We started with a tame one: Name the celebrity parents to the child. Late the night before, Melissa and I met up to 1. affix those letter and number stickers to the favor boxes for the centerpieces and 2. type up a list of 20 celebrity children for which baby shower guests would have to identify the parents. Given that I had to write about celebrity babies for my last job, I was well-versed in the subject. 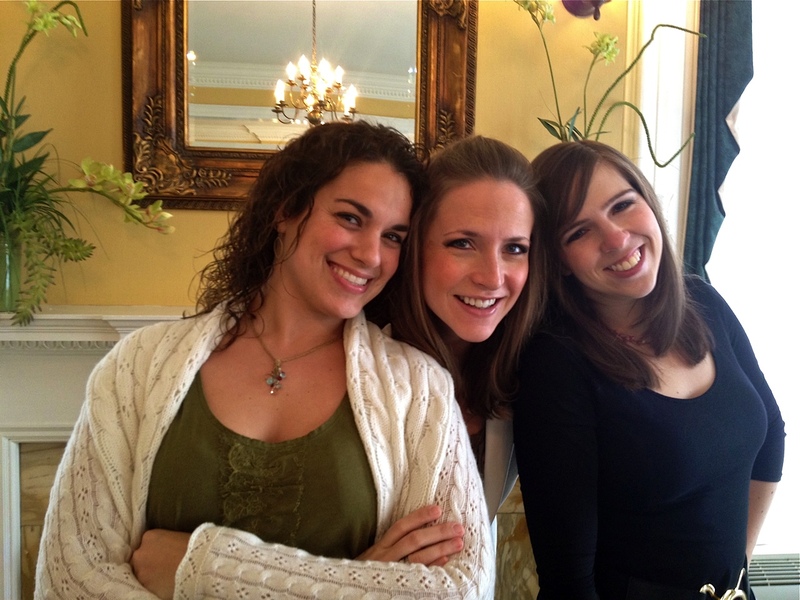 So were most guests–a few people got near-perfect scores. But not a soul knew whose daughter Satyana was. Do you know? Then we played something I had formally considered tacky: The guess-the-chocolate-bar-that’s-in-the-diaper game. While I’m still against games that publicly humiliate the expecting mom (measuring someone’s belly and betting on how big it is isn’t nice when it’s done in sorority houses–it’s that much worse when it’s done on pregnant women), I’ve revised my feeling on this game. It’s hilarious. We melted five chocolate bars and put one each in five diapers. 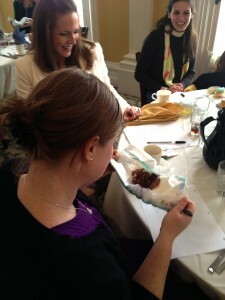 Then we passed around the diapers with the chocolate mess in them. Watching guests shove their noses in brown, nutty goop and surreptitiously taste the contents of the diapers loosened things up at the party. I don’t think it would have worked as well for a different audience, but it was a hit here. That’s our friend Felicity getting a whiff of the candy bar. But our jobs weren’t quite done yet. 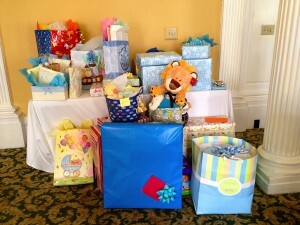 Melissa and I helped open the many adorable presents Emily received. Her son’s going to have to share that stuffed lion with me when I visit. Joining us in this picture are our other college friends, Albe and Felicity, whom I hadn’t seen since Emily’s bridal shower/wedding because they have demanding jobs in D.C. and Philly. “When’s the next time we’re all going to see each other?” I asked toward the end of the shower. 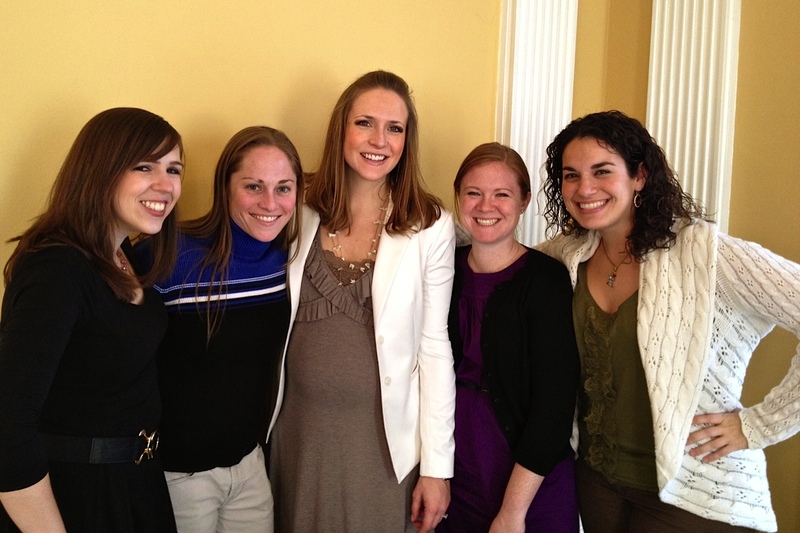 And Albe, second from the left said, “At your baby shower.” The pressure’s on. With any luck, I’ll look half as good as Emily does when I’m pregnant. What’s the best and worst baby shower game you’ve heard of? 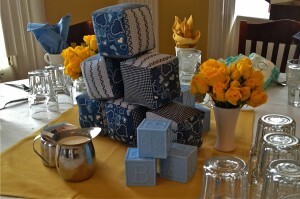 What centerpieces do you like to see at baby showers?